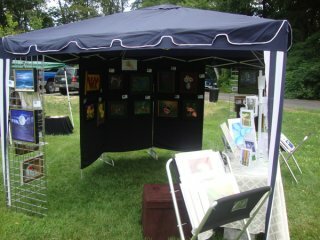 Last Saturday August 6th was the 3rd Annual Uncommon Art on the Common Festival. 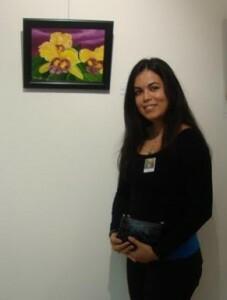 I participated in the event and I had an enjoyable time with the all the people that stopped by my exhibit. It was also great to see all the beautiful works from all the artists in the area. 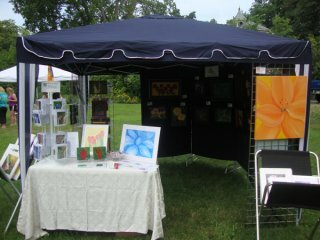 The festival took place along Main Street in Goffstown, NH and featured the work of over 30 local and regional artists including works in oils, pastels, watercolors, photography, jewelry, stained glass, fiber arts, beading, and sculpture. 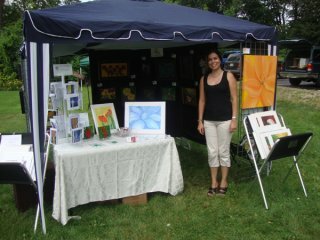 I exhibited over 25 pieces of artwork including original oil and pastel painting. 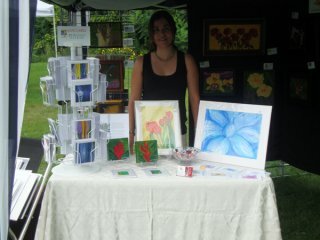 There were also reproductions and note cards available for purchase. Thank you to all who came by! Are You Ready to Win an Art Print? IMPORTANT: All images displayed on this website are protected by copyright and may not be reproduced or used for any purpose without written permission of the artist.